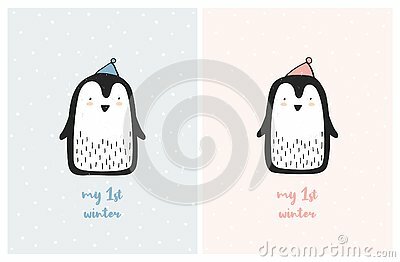 Sweet Little Penguins on a Light Pink and Blue Backgrounds. White Snow. Lovely Posters for Boys and Girls. Infantile Style Design. Pastel Colors. Old man and pigeons. Abstract acrylic painting. Drawing logo schedule sport to the top, to victory. From under the snow beautiful snowdrops grew with drops on the leaves.